If you’re in the mood to read a nonstop thriller then this is the book for you! The ending to this story is NUTS and will leave you referring it to everyone you know. Louise is a part time assistant at a psychiatrists office and a full time mom. She meets a guy at a bar and they immediately click. When she goes to work the next day after kissing this stranger she realizes the man from the bar is her new boss. She is taken aback not only by this fact but by also finding out that he has a gorgeous wife that she was previously unaware of. But even though Louise knows its wrong, she starts to fall for her boss while becoming friends with his wife. Discovering her boss is not the same man with his wife by witnessing his controlling behavior through their friendship puts dangerous thoughts in her head and the web that is woven by these characters cannot be undone and will keep you up at night racing to the finish. Behind Her Eyes is 304 pages long and took me two days to read. I give this story a 4.5 out of 5 for completely blowing my mind. 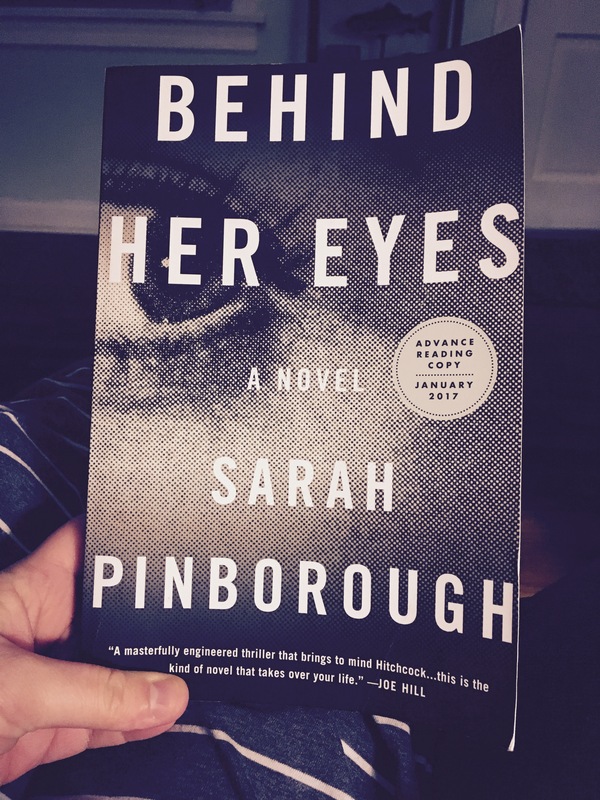 Sarah Pinborough’s creativity in this novel is magnificent. She truly writes this story in a way that will knock the wind out of you by the end. I HIGHLY recommend this novel!! Thank you to Flatiron Books for sending me an advanced copy!